The beautiful Grace Bay Beach on Providenciales. A jewel in the Caribbean, the island of Providenciales offers some of the most spectacular beaches and ocean water in the world. From the unparalleled and internationally acclaimed Grace Bay Beach, to the sheltered and secluded Taylor Bay and Sapodilla Bay beaches, you’ll realize you’ve found paradise. Several of our beaches offer vibrant reefs close to shore and are perfect snorkelling sites to see coral, fish, conch and turtles. Until the tourism boom of the 1980s, Providenciales was only home to three quiet fishing villages. Fondly known as Provo today, the island has seen a drastic change and now supports the majority of development in the Turks and Caicos. 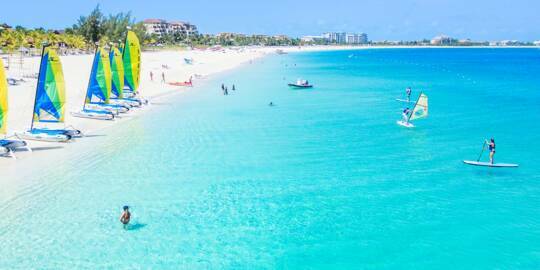 Many Caribbean islands feature a great beach or two, yet a defining aspect of Providenciales is the general high quality of all its beaches. Some coasts offer wide swaths of soft white sand, and others are framed by low limestone cliffs, yet the common and awe-inspiring theme is unmatched turquoise and blue ocean water. The resorts of Grace Bay Beach, Providenciales. There’s an excellent selection of accommodations to choose from on Providenciales. All-inclusive resorts, luxury hotels and quiet vacation villas are found across the many incredible beaches that surround the island, so you’re sure to find the perfect place to stay on your holiday. The island's collection of 5-star luxury resorts is wide, and includes beautiful resorts such as Seven Stars, Gansevoort, Amanyara, the Grace Bay Club, and the Shore Club. 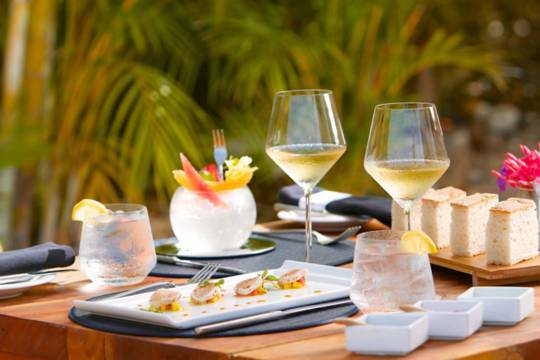 In addition to fronting the splendour of an unrivalled beach, many of the Grace Bay resorts offer a wide range of luxury and amenities including onsite gourmet dining and spas. Inland a bit, several Providenciales hotels offer lower room rates whilst still being within easy walking distance of the beach, restaurants and attractions. A perfect and relaxing complement to the beach, many resorts feature onsite spas. There’s a wide selection of treatments and services available. Many larger resorts offer all-inclusive vacation packages, combining airfare, lodging and dining under one deal, allowing for significant savings. If you’d rather stay at a quiet hotel retreat, there many smaller accommodations located on coasts away from the bustle of Grace Bay. The Turks and Caicos Islands are located to the southeast of the Bahamas archipelago, and north of the Dominican Republic. Providenciales is situated on the north-western edge of the Turks and Caicos. Providenciales is the most populated island in the Turks and Caicos, which is a British Overseas Territory. There are several populated islands in the country, and our capital city is Cockburn Town on the island of Grand Turk. The reflecting pool at Amanyara, Providenciales. If you’re looking for the height of luxury and seclusion, consider one of our all-inclusive resorts. The exclusive Amanyara fronts the Northwest Point Marine National Park on the remote west coast, and offers chic open air pavilion accommodations and impeccable service. Parrot Cay, a private island a short boat ride from Providenciales, is home to COMO’s all-inclusive Parrot Cay Resort. Far away from the crowds, it doesn’t get more tranquil than the suites and beachfront rooms on this exclusive paradise. Adding to the relaxation options is the full-service Shambhala Spa and Yoga Retreat. 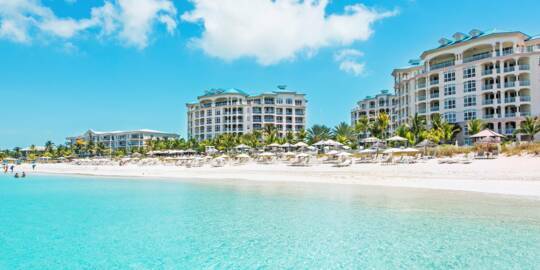 Two all-inclusive resorts are located on Grace Bay: the family and kid-friendly Beaches Turks and Caicos, and the adult-only Club Med Turkoise. Part of the Sandals family of resorts, the Beaches property offers an impressive array of things to do, including 19 restaurants and the island’s only water park, a favourite for families with children. Several of the all-inclusive resorts offer day passes, which can be a fun for guests staying at a vacation rental or smaller hotel. Luxury vacation villa at Turtle Tail, Providenciales. Vacation rental villas are great option for those who want to get away from it all. Typically found on our smaller and often overlooked beaches, these boutique accommodations are secluded from the bustle of central Providenciales. There’s a plethora of amenities offered, from relaxing infinity pools to the complimentary use of water sports equipment, including Hobie Cat sailboats, kayaks and stand up paddleboards. Looking for your own private patch of sand and sun? Several of the more-luxurious vacation mansions are ideally located on secluded and pristine beaches. For those looking to get married right on the beach, Providenciales is fast becoming a popular destination for weddings and honeymoons, and many local resorts offer tailored packages and deals for couples and their guests. 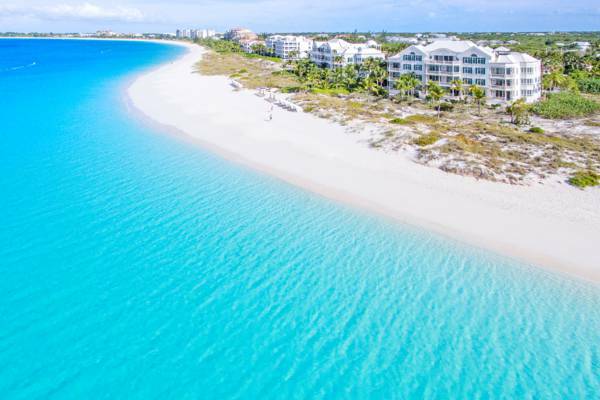 Providenciales features several coastal regions, so you’ll be able to choose between staying near great snorkelling reefs, kiteboarding beaches, hills with great ocean views, or tranquil wetlands. Professional concierge services, private chefs, and butlers are also available and can cater to any requests you may have. Kayaking at Donna Cay in the Princess Alexandra Nature Reserve. 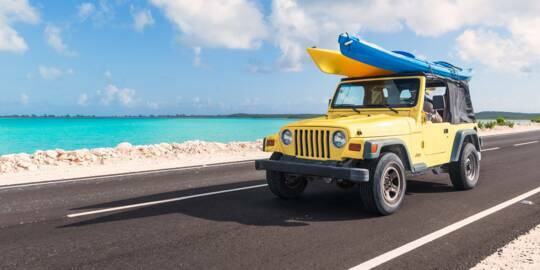 There’s a wide offering of fun things to do on and in the spectacular Turks and Caicos ocean, from tranquil wetland eco paddle boarding and kayaking, to the challenging sport of kiteboarding. Want to do something a bit more exciting? Try jet skiing, parasailing, wakeboarding, or tubing. The Turks and Caicos is a great destination for sport fishing, and Providenciales is the perfect place to launch from. Due to the island’s location on the edge of the Caicos subterranean plateau, deep water, teeming with pelagic fish, is found only minutes from the dock. The shallows in the Caicos Banks are one of the last undiscovered bonefishing frontiers. Tarpon, bonefish and barracuda are plentiful. Take a fishing expedition to a remote sound, or DIY at one of Providenciales’ central marine ponds. If you’re just looking to catch dinner and have some fun, there are quite a few reef and bottom fishing tours to choose from. There’s plenty of snapper, grouper, jacks and yellowtails waiting! Diving at the wall off French Cay. Divers and snorkelers will appreciate the undersea world of the Turks and Caicos. With over 70 miles of barrier reef within easy access of Providenciales, you’ll see fish, turtle, dolphins, rays and sharks as they were meant to be seen: in the wild. Because the country sits on an elevated underwater plateau, some of the best wall dive sites in the region are only a short boat ride away. If diving is your main focus, many of the local dive operators and hotels offer deals and packages to maximise your budget. It’s not necessary to travel far to see spectacular coral as beautiful snorkelling sites can be found close off the beach as well as offshore by boat trip. The incredible snorkelling sites of Smith's Reef and the Bight Reef offer aquarium-like sightings within easy access of the beach. Luxury boat cruise at the uninhabited Fort George Cay. On the relaxing side of the activity spectrum, a snorkelling and beach boat cruise is the ideal way to experience uninhabited cays and secluded beaches, and even possibly spot the unique Turks and Caicos Rock Iguana. Grace Bay and the ocean off of the uninhabited Caicos cays are home to a unique marine mammal: Jojo the Dolphin. Although a wild animal, this Atlantic bottlenose dolphin has exhibited a special trait; he freely interacts with humans. Typically seen playing in the wake of passing boats, spotting Jojo is the highlight of any boat tour. A combination beach cruising, snorkelling and barbecue excursion is kid-friendly and a perfect family activity. If you’d rather discover the wild side of the Turks and Caicos Islands, a custom boat charter can take you to the reefs, cliffs and historical sites of West Caicos, the wildlife sanctuary of French Cay, or what was once the site of Fort Saint George, where cannons can still be seen in the water. The astoundingly turquoise Chalk Sound National Park. On land, we are home to an award-winning 18-hole golf course, beautiful wetlands and nature reserves, and the unique and highly scenic turquoise Chalk Sound Lagoon. The incredibly scenic Princess Alexandra National Park found on the northeast coast of Providenciales protects the top-rated Grace Bay Beach, Leeward Beach and several uninhabited nature reserve cays. It’s difficult to surpass this exquisite area as a destination for day trips and boat tours. Cheshire Hall Plantation, a Loyalist cotton plantation built in the 1700s, is the foremost historical site on Providenciales. Today, quiet foot paths lead through the ruins of the Great House, kitchen, slave quarters and field walls. There are several smaller points of interest across Providenciales as well, including a giant Karst sinkhole, historical rock inscriptions, nature trails, and pristine coastal environment. The island is also home to the unique Caicos Conch Farm. United Airlines Boeing 737 over Chalk Sound National Park. The approach to Providenciales is amazing. It’s very easy to get to here. We’re located only 90 minutes by air from Miami, and direct flights to the Providenciales International Airport are offered from more than twenty cities across the United States, Canada, United Kingdom, and the Caribbean, including New York, Boston, Philadelphia, London and Toronto. As an English speaking British territory that uses the US Dollar, booking your vacation is also simple. For those looking for a bit more convenience, one of our concierges is able to guide you with all aspects of your travel, including finding the right accommodation, making dinner reservations, and shopping. 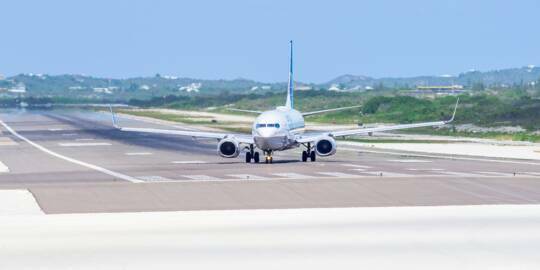 Once your flight has landed in the Turks and Caicos, it’s easy to get around. A rental car is the perfect transportation, and there is a wide selection of companies to book with. The majestic Mudjin Harbour on Middle Caicos. Taking a day trip to one of our less-populated islands is a top-rated activity on Providenciales. Neighbouring Providenciales, the islands of North Caicos and Middle Caicos offer a different perspective to the resorts and beaches of Providenciales. Once the home of Loyalist cotton plantation, the islands today are an ideal destination for those who appreciate the outdoors. There’s so much to see. Secluded beaches, caves, historical sites, and the famous Mudjin Harbour coastline. Many of the natural and historical attractions on North and Middle Caicos feature free admission as well. Discover the spectacular Mudjin Harbour, Bambarra Beach, Sandy Point Beach, Hollywood Beach, and Three Marys Cays. It’s simple to plan your day. Reserve a rental car, take the regularly-scheduled passenger ferry, and explore. Discovering these two islands is like a little Caribbean road trip. 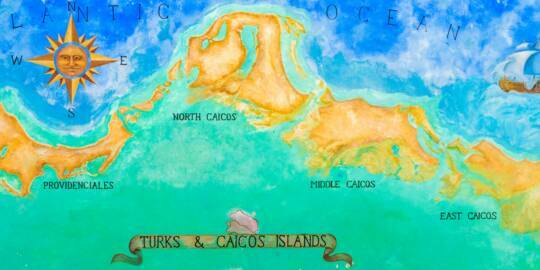 The former sea salt producing islands of Grand Turk, Salt Cay and South Caicos supported a different industry. Beginning in the late 1600s, natural and shallow marine ponds were converted into salinas where ocean water was evaporated into white salt crystals for export. No longer worked today, the salt ponds and salinas remain interesting attractions. Dessert at the Beach House, Providenciales. The culinary delights are another highlight of this island. Freshly caught seafood is of course the hallmark of the island’s fine dining, but the diverse international cuisines of the local restaurants create a tremendous selection of unique flavours to sample. If you’d like to try some authentic Turks and Caicos dishes, choose a local cuisine restaurant in the coastal settlements of Blue Hills or Five Cays, where conch, pan cooked fish, and peas n’ rice are still the main courses. There’s an enticing selection of ice cream, dessert and cafés as well, where the delicious delicacies are created fresh every day. The fresh seafood from the Turks and Caicos includes conch, lobster, grouper, snapper, mahi-mahi, wahoo, tuna, and more, all caught in some of the cleanest ocean water in the world. Our travel information pages cover everything travellers need to know for your Turks and Caicos vacation, including practical information, visas and passports, weather, shopping and trip ideas. See our Turks and Caicos budget tourism guide for hints and tips on getting the best price on air travel, lodging and transport. Hotel, resort, and activity rates vary according to the time of year and location. The Turks and Caicos experiences great weather throughout the year, with sunny days, clear skies and warm ocean water being the norm. Consult the weather forecast for details on planning your visit to paradise so as to get the most out of your vacation. If you're arriving on a private yacht, Providenciales is home to several full-service marinas, located in the Turtle Cove, Leeward and Cooper Jack districts. 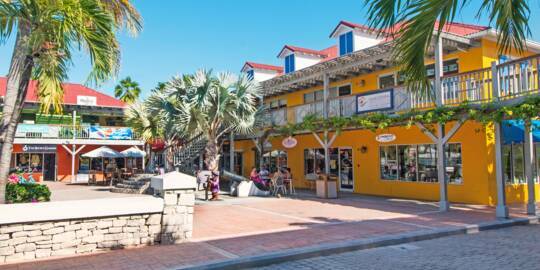 If you’re looking to pick up a gift or souvenir, the shopping plazas of Grace Bay are the perfect place to start. There’s local and international jewellery, art, designer fashion, Turks and Caicos food and alcohol products, T-shirts, and more. Luxury resorts on Grace Bay.